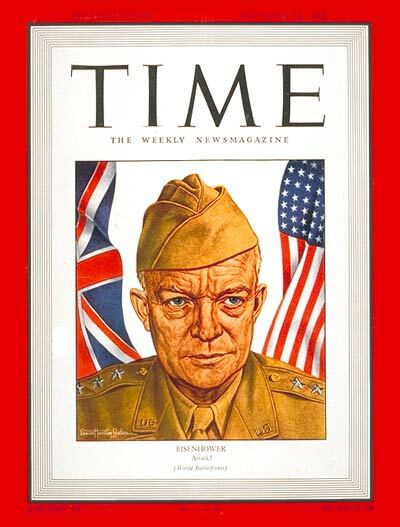 Then a Lt. General in the Army, Eisenhower was a rising star in the military hierarchy. 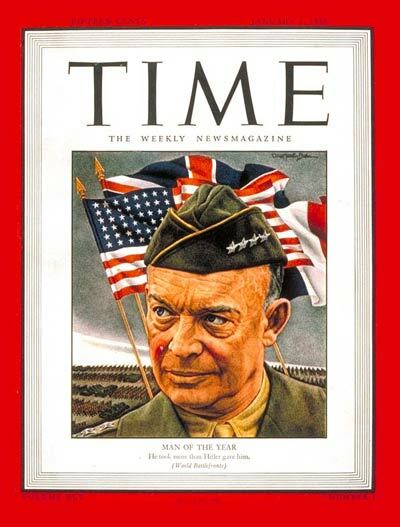 led Allied forces in the D-Day invasion of Normandy on June 6, 1944. 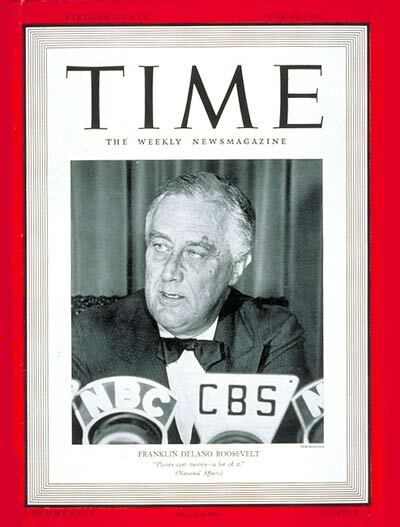 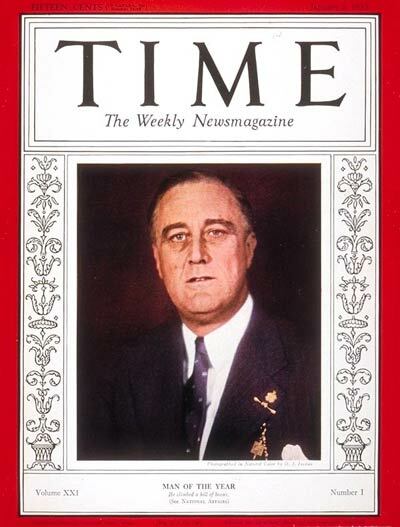 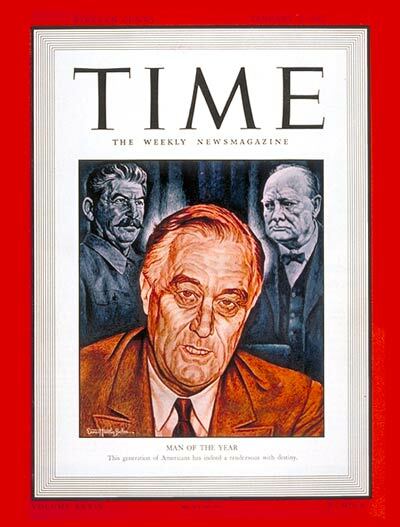 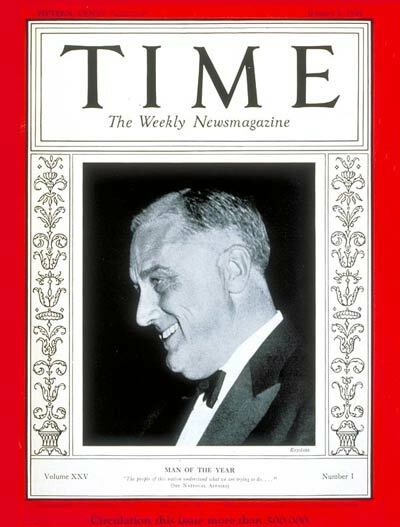 This cover came the week after the death of President Roosevelt on April 12, 1945. 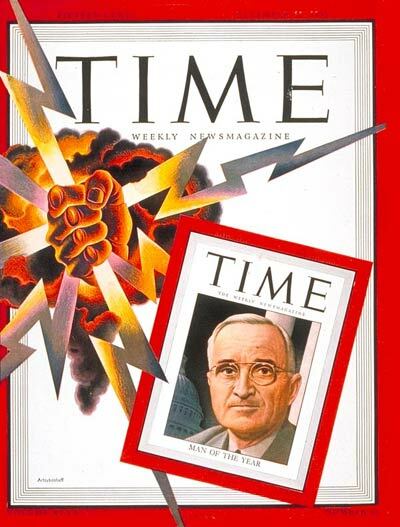 The artwork depicts the dawn of the nuclear age being ushered in by President Truman. 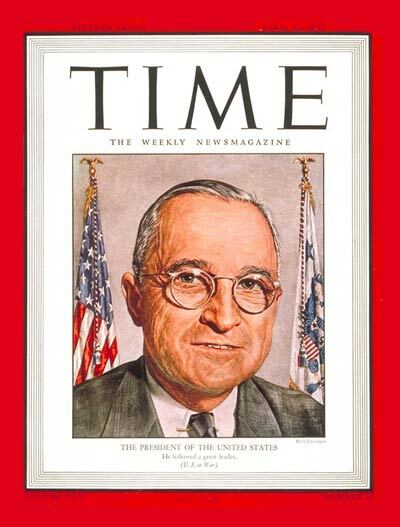 President Truman ordered atom bombs dropped on Hiroshima and Nagasaki. 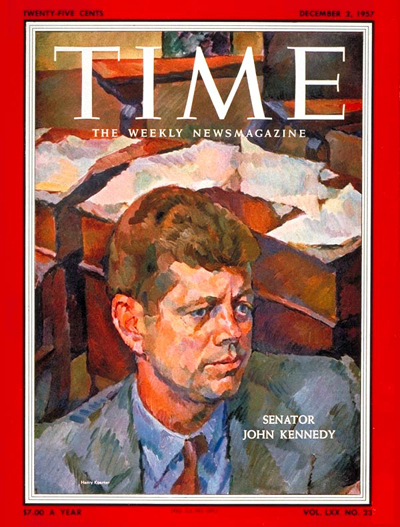 This is Kennedy as a United States Senator, three years before being elected president. 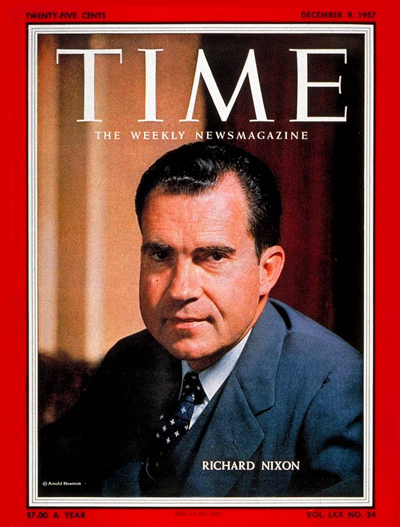 This is Nixon as Vice-President of the United States, eleven years before being elected president. 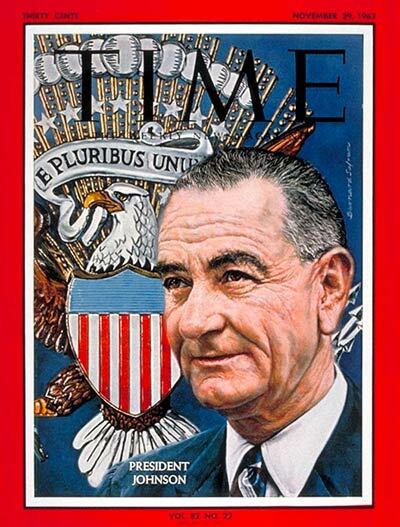 This came the week after the assassination of President Kennedy.